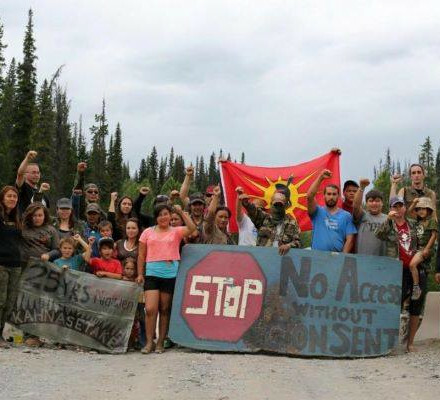 Join us for an inspirational and educational evening of speeches, music, videos and delicious food in support of the Unist'ot'en clan and Wet'suwet'en people, defending their territory from TransCanada's Coastal Gaslink Pipeline. No one will be turned away due to lack of funds. We ask that those who can afford to buy extra tickets, or who want to support but can't attend, purchase tickets to make space for those who can attend but can't afford a ticket. We encourage those attending to bring extra cash for raffle tickets and other additional fundraising activities. This event will be held on the unceded territories of the Coast Salish Peoples; the Musqueam, Tseil-Waututh and Squamish, whom we thank and honour for taking care of this land from time immemorial. Roots Cafe is fully wheelchair accessible including washrooms. For other accessibility related concerns please message us directly via our Facebook Page and we will be happy to work with you to address them.